©™ 2012 Nelson County Life : Photos By Blue Ridge Photographer Paul Purpura : Michael Valente (L) and his sister Alexis enjoy some of the German music & food this past Saturday - September 15, 2012 during Oktoberfest at Wintergreen Resort in Nelson County, Virginia. A week of sunny delightful weather was capped off with the annual Oktoberfest held this past weekend at Wintergreen Resort in Nelson County, VA. Wintergreen Performing Arts hosts the event each year as summer winds down and fall begins to crank up in the Blue Ridge Mountains of Central Virginia. 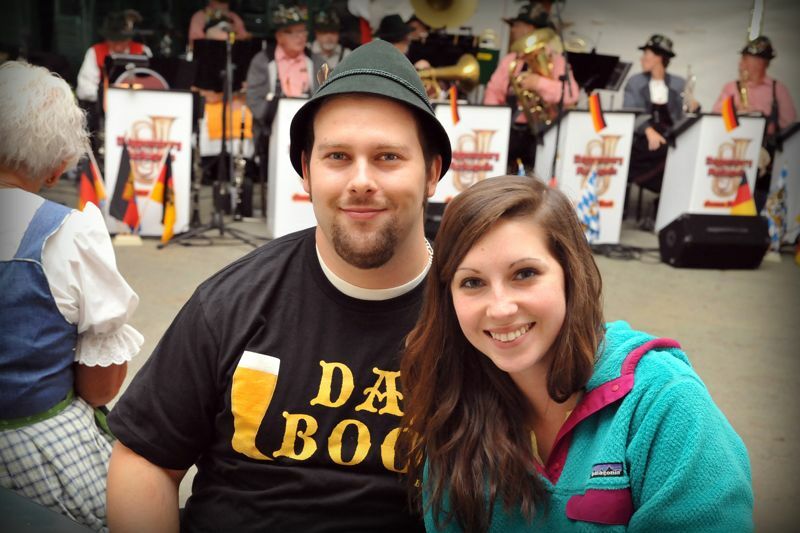 WPA says, “It’s a celebration of German culture and food – a family event in a beer garden setting. 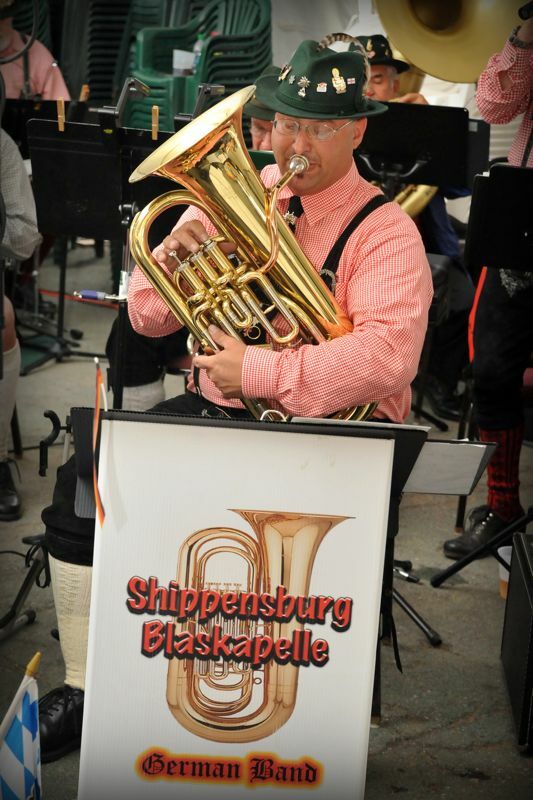 with traditional “oom-pah” band music and taste local microbrewery beers.” We have been covering this annual fun weekend for several years. 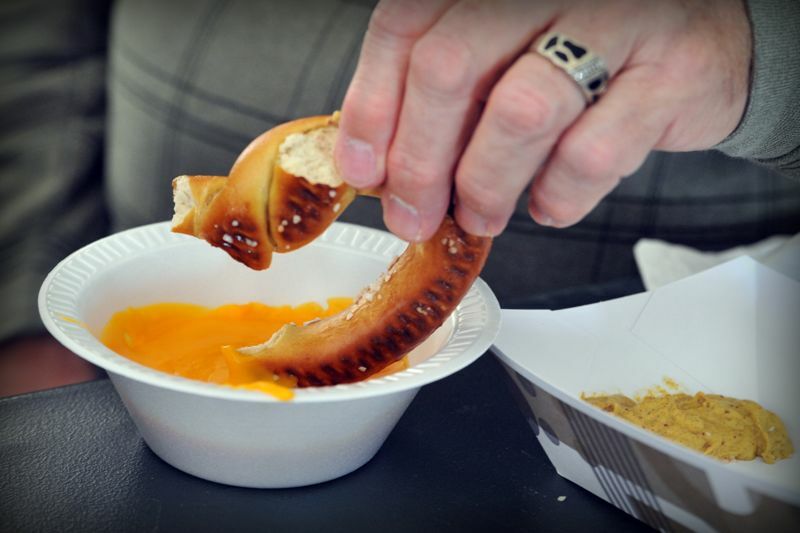 Obviously you can't have beer without a pretzel. WPA- People also got to feast on brats, wursts, German potato salad and kraut, along with American hot dogs and hamburgers. 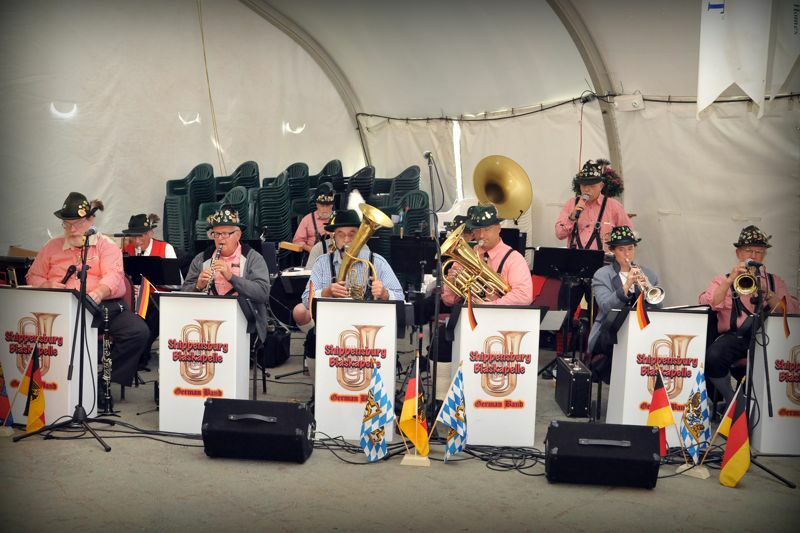 Oktoberfest is just one of numerous events Wintergreen Performing Arts hosts each year. To learn more head on over to their website here.